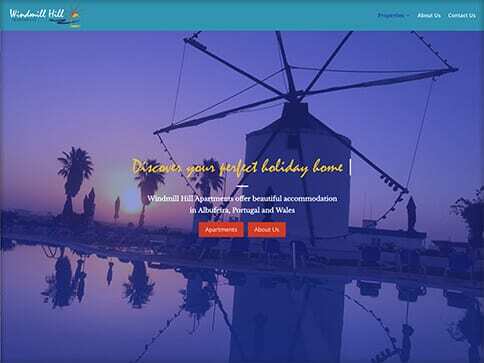 Windmill Hill Apartments are a family run business, offering 3 beautiful holiday apartments on Windmill Hill in Albufeira, Portugal and another near Abersoch in North Wales. 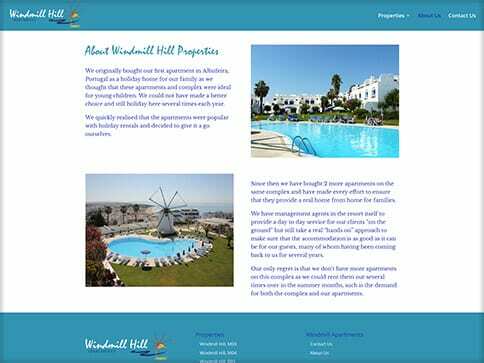 Windmill Hill Apartments required a simple responsive website which promoted and advertised there brand and credibility as independent holiday accommodation. The branding was inspired by the dominant Windmill which stands i the Albufeira apartment grounds. 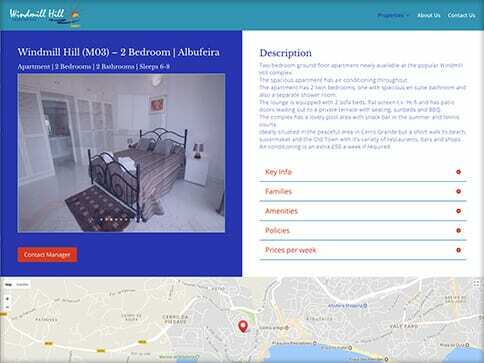 The web design is a bright, eye-catching design showing of the beautifully situated holiday accommodation.